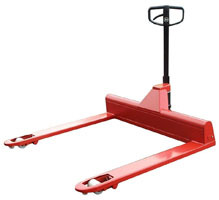 Euroscales have a unique position in the materials handling market by being able to offer specialised pallet trucks, with or without weighing scales, backed with years of re-engineering experience. This has enabled Euroscales to offer its modification services for manual and electric pallet trucks to customers and the forklift truck trade. 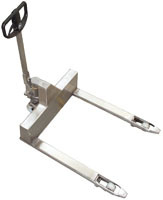 Whether you need extra long forks or very short forks, increase in overall width or reducing to a single blade pallet truck, Euroscales are able to fulfil the needs of the vast majority of applications with proof load certificates using National Physics Laboratory traceable weights.